The United States drivers couldn’t be happier with the second-generation of the 2018 VW Tiguan. The Tiguan was firstly launched back in 2007 and only had a minor facelift in 2011. So, we just can’t wait to see what the new 2018 VW Tiguan is going to bring us. 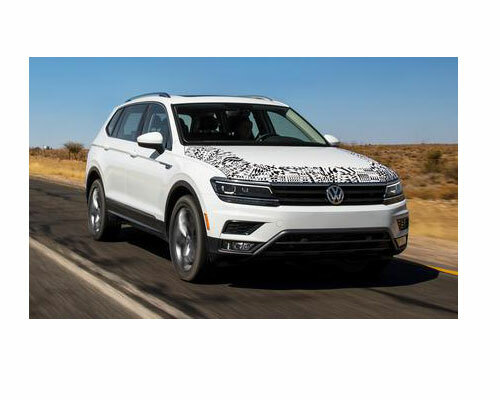 One thing is for sure – the 2018 VW Tiguan will feature the new MQB platform that is also being used by the Audi A3, Audi Q3, VW Gold, among others. Make sure to check out the new car releases that are about to hit the market. 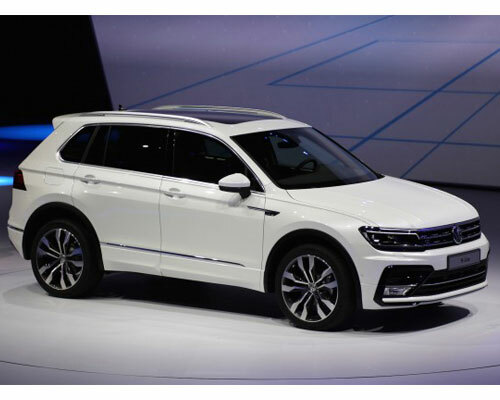 The 2018 VW Tiguan was already officially introduced during the 2017 North American International Auto Show. Despite the launch of the new 2018 VW Tiguan already happened, Volkswagen hasn’t released any information regarding the prices. However, we expect to see the prices starting at about $25,000. In our opinion, the price can’t be much higher than this or this model would be competing with the 2018 Atlas, which price is estimated to start at about $30,000. This new 2018 VW Tiguan is clearly thought to please American customers and their preferences. Their main goal with this major upgrade was to make sure that the convenience and space were maximized while allowing the vehicle to have performance and agility. The new 2018 VW Tiguan comes with a sharp design that is slightly taller. 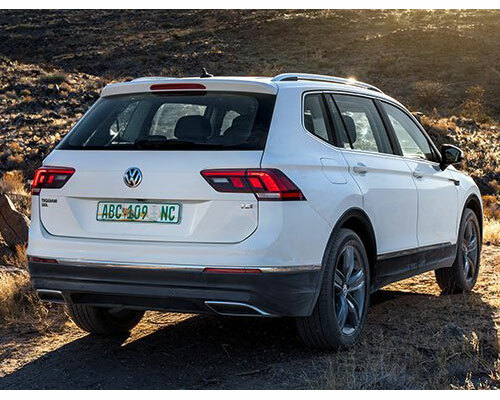 With some strong character lines, we need to mention that the new Tiguan shares some similarities with the Atlas. However, there are still some differences that include a larger lower air intake and a skinny upper grille. The swanky headlights that already use the LED technology are perfectly suited. 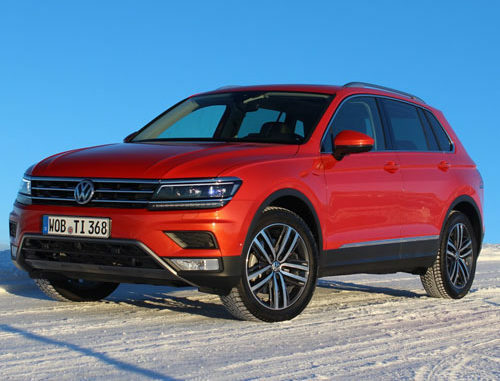 Overall, the new 2018 VW Tiguan has a strong character and is definitely a sharp-looking vehicle. 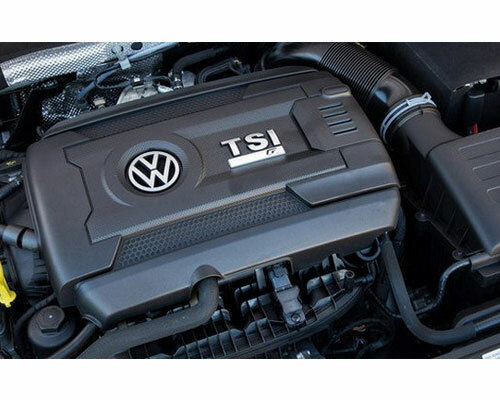 While in Europe, the 2018 VW Tiguan will have 8 different engines to choose from (4 TDI turbodiesel and 4 TSI gasoline), in the United States, the new 2018 VW Tiguan will only have one engine. It will feature a 2.0-liter TSI gasoline four-cylinder and is able to produce about 184 of horsepower and 221 pound-feet of torque. In what concerns the transmission, you can expect to find an Aisin 8-speed automatic gearbox with manual mode included. As an option, you’ll be able to add the Volkswagen 4Motion AWD system. If you can expect some big changes on the exterior of the new 2018 VW Tiguan, the same will happen with the interior. The changes include an angular instrument panel design that will give the interior of the vehicle a more modern look. On it, you’ll access the infotainment system. You’ll also have available the Android Auto, the Apple CarPlay, USB, GPS navigation, dual-zone and automatic climate controls, among others. One of the things you may be more curious about regarding the interior of the 2018 VW Tiguan is the number of benches. Since the new Tiguan is going to be larger, it will now feature a third-row bench. Despite there are no official numbers regarding the actual space for each row, we believe that the second row will have amazing space for head and legs, while the third row will be slightly tighter. However, space can be easily increased by sliding the second row forward.